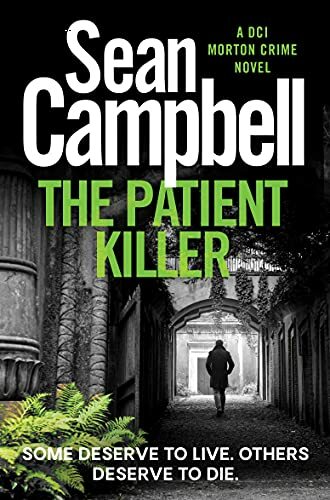 Click here to pick up your free copy of The Patient Killer in the Amazon Kindle store. 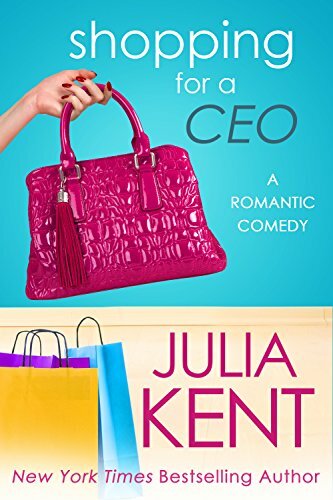 Click here to pick up your free copy of Shopping for a CEO in the Amazon Kindle store. Another team of Angels, the Cherubim, have arrived to wipe out the Angeli and kill any human who doesn’t meet their standards. The first-arriving Cherub, Rathe, is a long-haired teen with the face of an angel. He seems like an unlikely villain, but he’s created two Angeli-hunting Sentinels, including an evil ex-mercenary with nasty plans for Anne. While Michael orchestrates the Angeli offensive, it’s up to Anne and Con to find Rathe and stop him before he opens the floodgates to Chaos. 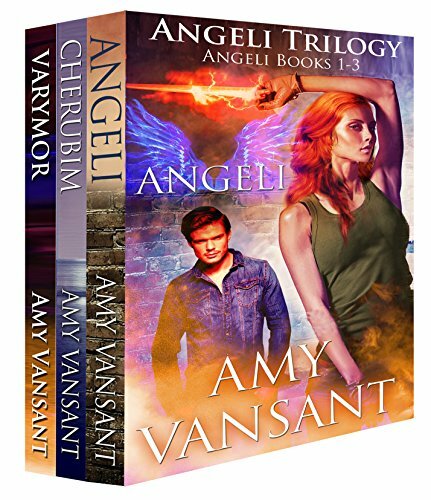 Click here to pick up your free copy of Angeli Trilogy in the Amazon Kindle store. 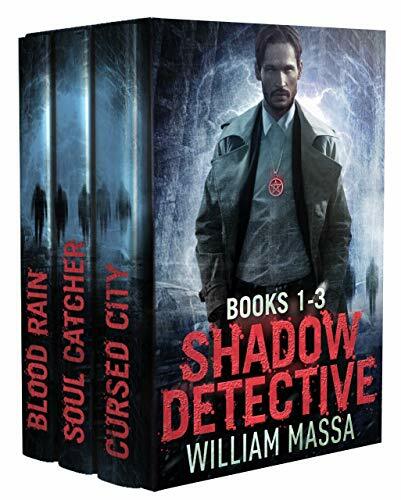 Click here or type in http://geni.us/shadowdetective into your web browser to pick up your copy of Shadow Detective Boxset in the Amazon Kindle store. What do Mad Cow Disease, ten old college friends, a CIA experiment, a Chinese general, a crazed killer, and a mountain top in Colorado have in common? After making a sizable fortune in cellphone licenses, Brent has lived quietly alone on his mountainside in Colorado for more than three years until 1994 when his entire life is turned inside-out by a hired killer with no conscience. The crazy mercenary has kidnapped nine of Brent’s old college friends from thirty years earlier and brought them to his mountain home in search of the answer to a question for which his Chinese employer is paying big money. The problem is that none of the friends has a clue to help answer the Chinese’s question: when forty college students were part of a long-ago CIA experiment, why had these ten survived while the other thirty died soon after college graduation? Brent will have to abandon his minding-his-own-business philosophy if he and the only woman he has ever loved and his former friends are to survive the terror in his mountain-side house. 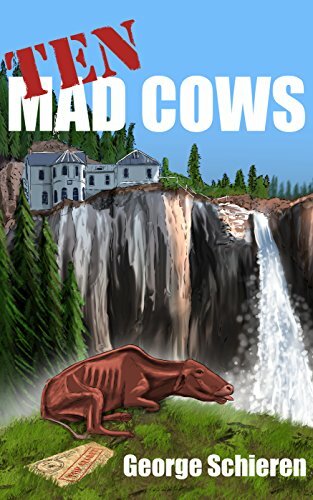 Click here or type in http://geni.us/tenmadcows into your web browser to pick up your copy of Ten Mad Cows in the Amazon Kindle store. Click here to pick up your free copy of Love and Rumors in the Amazon Kindle store. 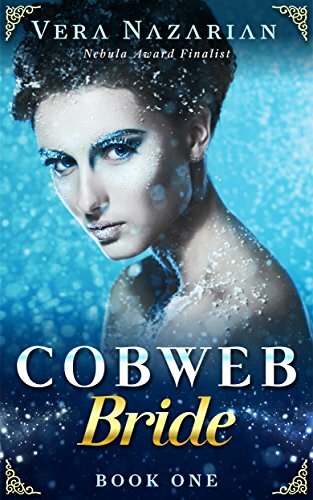 Click here to pick up your free copy of Cobweb Bride in the Amazon Kindle store. 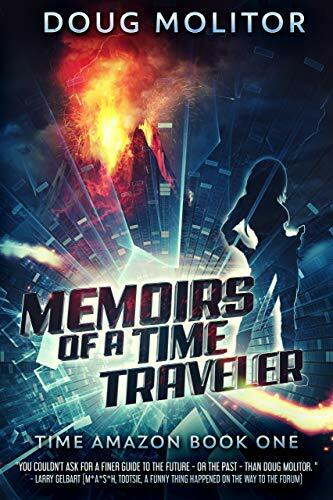 Click here to pick up your free copy of Memoirs of a Time Traveler in the Amazon Kindle store. 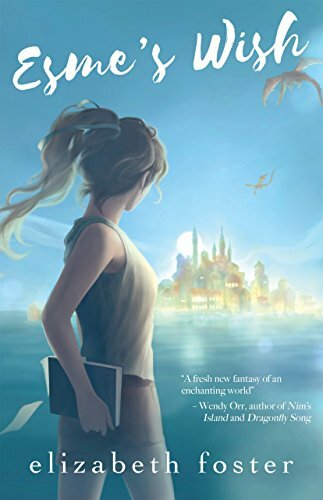 KINDLE SCOUT WINNER – Young Hanna thinks her thirteenth birthday will be no different than the one before–until her mother explains the facts of life. Hanna is a “bridge daughter,” born pregnant with her parents’ child. In a few months she will give birth and die,leaving her parents with their true daughter. A mature bookworm who dreams of college and career, Hanna is determined to overcome her biological fate. Navigating through a world eerily like our own, she confronts unyielding attitudes and instinctive fears as old as humankind itself. 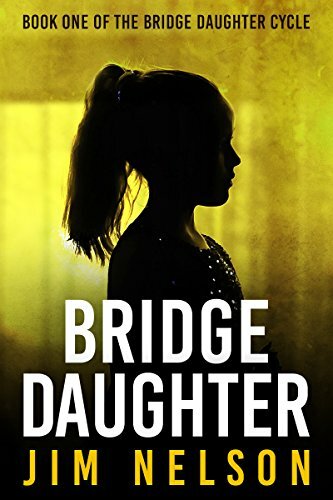 Click here or type in http://geni.us/bridge into your web browser to pick up your copy of Bridge Daughter in the Amazon Kindle store. 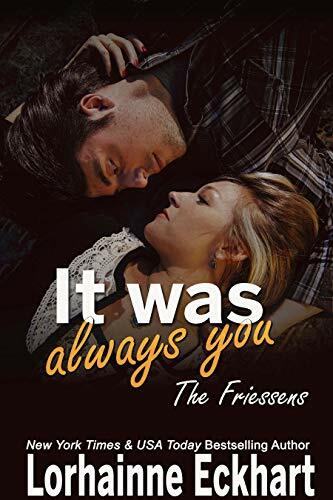 Click here or type in http://geni.us/itwasalways into your web browser to pick up your copy of It Was Always You in the Amazon Kindle store. 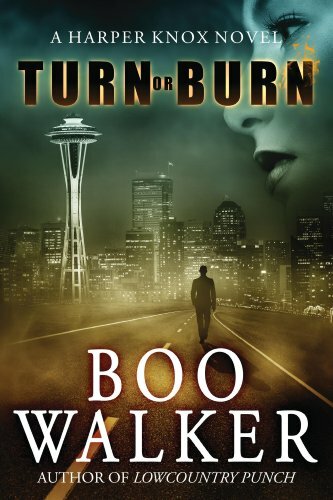 Click here or type in http://geni.us/turnorburn into your web browser to pick up your copy of Turn or Burn in the Amazon Kindle store. After picking the five-string banjo in Charleston and Nashville and then a few years toying with Wall Street, Boo chased a wine dream across the country to Red Mountain in eastern Washington with his dog, Tully Mars. They landed in a double-wide trailer on five acres of vines, where Boo grew out a handlebar mustache, bought a horse, and took a job working for the Hedges family, who taught him the art of farming and the old world philosophies of wine. Recently leaving their gentleman’s farm on Red Mountain, Boo and his family are back on the east coast in St. Pete, Florida. You can visit Boo’s Amazon author page if you click here or type in http://geni.us/boowalker into your web browser. It was just a tattoo. How does one impulsive decision to celebrate becoming a teacher completely derail Shelby Lyon’s life? It’s always been Shelby against the world, but the odds may be stacked against her this time. How will she gather the strength to fight? As a single dad and senior partner in his law firm, Mark Littleson’s life is the definition of complicated. So, why is he irresistibly drawn to Shelby? Will Shelby just be one more complication or will she be the piece which makes his life whole? 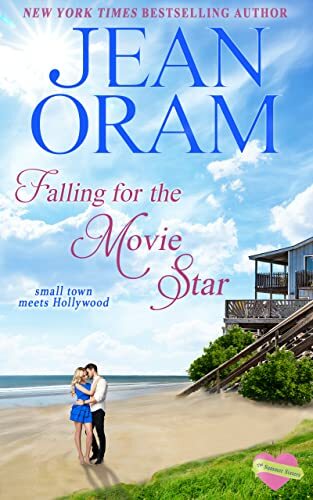 This family-centered contemporary romance novel about life and death challenges and triumph will fill you with hope. Click here to pick up your free copy of Love is More Than Skin Deep in the Amazon Kindle store. 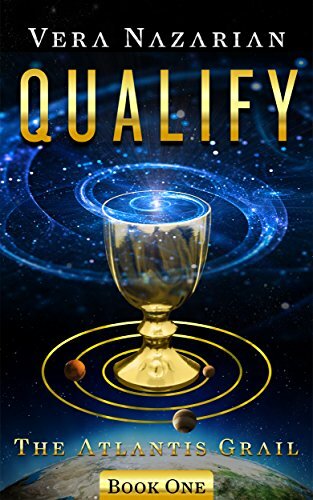 Click here to pick up your free copy of Qualify in the Amazon Kindle store. 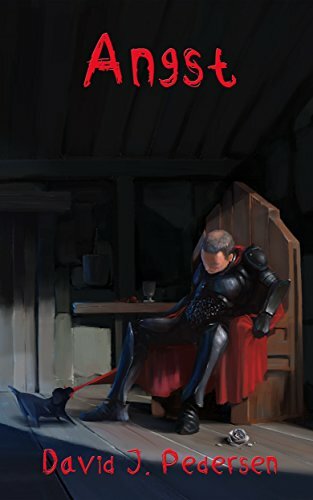 In this anthology, you’ll find seventeen tales of conflict and heroism, exploration and discovery, endurance and triumph. Flee the apocalypse of modern-day Earth, fly a fighter in the cold emptiness of deep space, and find new life on the distant shores of an alien world. You might even discover something about yourself as each author opens a window on the soul of mankind. Who are we, really? Should we survive? How do we become something greater without losing what makes us human? 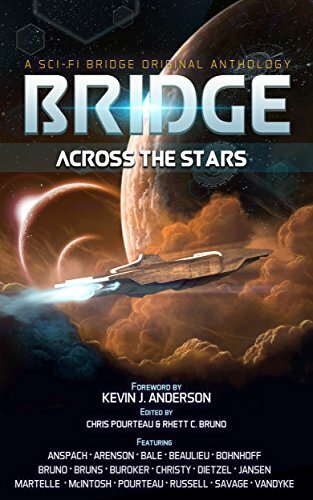 Click here or type in http://geni.us/6RUUKi into your web browser to pick up your copy of Bridge Across the Stars in the Amazon Kindle store. Deadly adventure was never this much fun…. When Stella Hunter wrote a controversial book she had no idea it would cost not only her marriage but her career. A history professor with a passion for archeology, she has no other place to hide but in a hamlet in Montana where she was raised by her aunt and uncle. Then one evening, a man with a horribly scarred face stomps on her porch, holding her controversial book. He claims to be on contract to the FBI but doesn’t have a badge or a shred of proof to support his claim. What he has is a book with bloody fingerprints that mark an obscure passage dealing with the ancient Peacetaker myth. What would drive a man to travel for hours in a vicious blizzard to find an academic whose book has been out of print for years? And are there really dark secrets worth killing hundreds of thousands in a dubious book of ancient myths and legends that all the security agencies missed…? 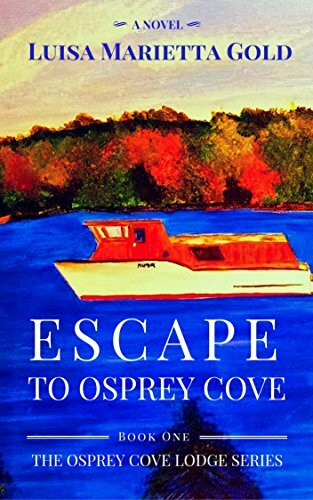 After a traumatic life event, Georgie Tanner returns to her hometown to start her life over… at 31 years old. Add sporadic memory loss to the mix and Georgie is a certified hot mess. Luckily, Aunt Cecelia is there with a job for Georgie. She might not feel able to take on the world, but she’s think she’s up for taking tourists through Gainesville, Pennsylvania’s historic downtown. The place is as American as apple pie, steeped in rich Revolutionary history, Amish settlements, ghost stories, and colonial manors. Georgie knew it was a safe place to go to piece back her memories. Until she leads a group of tourists through the Three Maidens’ Manor, a battle site converted into a museum. When the power goes out during the tour, Georgie thinks it’s a crazy fluke. But when it returns, she has six panicked guests, and a dead man in her midst. 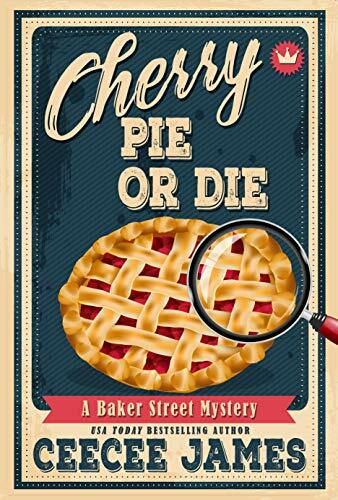 Click here or type in http://geni.us/cherrypie into your web browser to pick up your copy of Cherry Pie or Die in the Amazon Kindle store. Cuddle up with your Kindle and treat yourself to a balmy California vacation—no plane ticket needed! From its majestic redwoods in the north, to its hip beaches in the south, California’s azure coastline stretches 800 miles—a hotbed of dreams-come-true, and an equal number of head-scratching murder mysteries. In this cozy box set, murder’s afoot amidst Oakland’s zany collection of book collectors, the Bay Area’s underground feminist prostitution ring, the wealthy residents of woodsy Marin County, the glamorous and blood-sucking darlings of Hollywood, and the more mystical—psychic, really—world of teenage magic in Santa Barbara. A delectable mélange of murder in the Golden State. HUCKLEBERRY FIEND, a Paul Mcdonald mystery by J. Paul Drew. The most priceless American manuscript in existence—the missing holograph of The Adventures of Huckleberry Finn—has unceremoniously dropped into ex-journalist and sometime-sleuth Paul Mcdonald’s hands, and its former owner has been murdered—now what? Paul is so awed he can hardly bring himself to touch it, unlike the zany collection of literary collectors who’re trying to lay hands on it. And they are all stripes of crazy, every single one of them capable of murder. DEATH TURNS A TRICK, the FIRST book in the Rebecca Schwartz mystery series by Edgar Award Winner Julie Smith. FREE DRAW, the SECOND book in the hard-boiled but “wonderfully wry” adventures of ex-cop Jake Samson by award-winning author Shelley Singer. Unafraid, unlicensed, and, in this case, unpaid, unofficial Bay Area P.I. Jake Samson and his carpenter sidekick Rosie set out to clear a friend of a murder charge. The victim is found stabbed to death in a damp redwood canyon in woodsy, wealthy Marin County, outside San Francisco. It’s up to Jake and Rosie to find the real killer, and they’ve got a number of odd California wood-dwelling suspects. 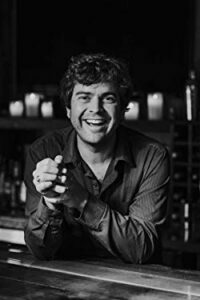 LOVE BITES, “an engaging, sinister romp,” by Adrienne Barbeau, author of the Vampyres of Hollywood series. 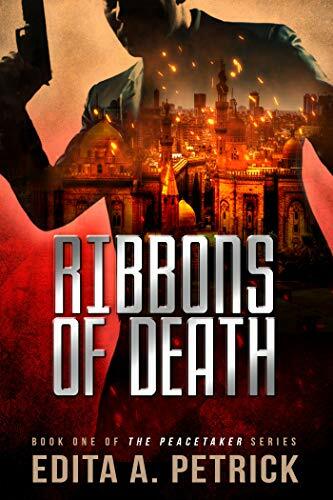 Beverly Hills detective Peter King and movie star Ovsanna Moore are the sexiest tongue-in-cheek crime-solving duo in almost half a millennium—as Ovsanna, a 450-year-old vampire, can bear witness. Ovsanna’s the successful owner of her own Hollywood film studio and the star of 17 blockbuster horror films. And Peter’s a hell of a detective. Together, they take on vampyres, werewolves, and shapeshifters while solving the crimes they commit. Debut author Red Q. Arthur’s BAD GIRL SCHOOL, a YA paranormal adventure featuring superpowers, time travel, and young love. Tip: The murderous cat steals the show. Ever wonder why the world didn’t end in 2012? You can thank Reeno Dimond, teen burglar. The most accomplished teen burglar in California hides a tragic secret: her sister Haley’s dying of an illness no one can diagnose, and Reeno’s stealing to help out with a little extra money. But one tiny slip-up lands her in a remote residential school for “gifted teens”… and to the discovery she’s psychic. Can she use her gift to save her sister—and the world? 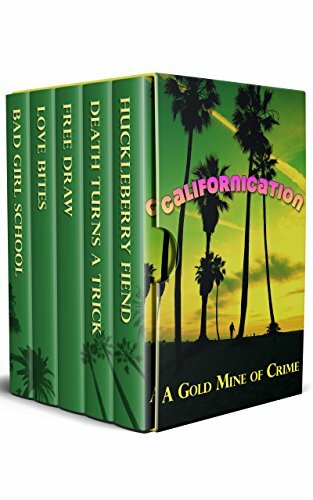 Click here to pick up your free copy of Californication Box Set in the Amazon Kindle store. Destiny is fated unless you have the power to change it. Cursed or gifted, these heroes will need much more than enchantments, wits, and skillful fighting to defeat their equally crafty villains. Dive into this collection of action-packed stories where supernatural adventure meets conjuring danger. 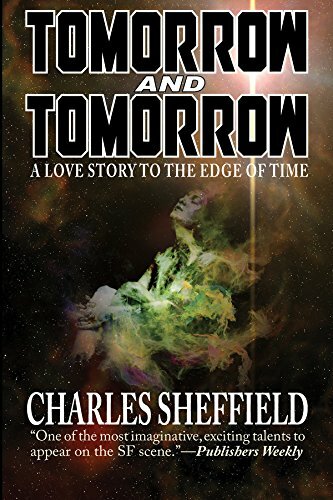 From fated mates to fated stars, the bonds that form are tested to their limits. 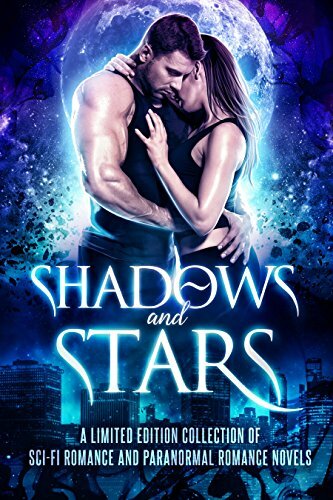 Discover magic, love, and passion, in the Shadows and Stars paranormal & sci-fi romance collection when you download today! Click here to pick up your free copy of Shadows and Stars Box Set in the Amazon Kindle store. An Oscar-worthy disappearance. A red carpet murder mystery. Can Jaqie give a ghost a second chance? 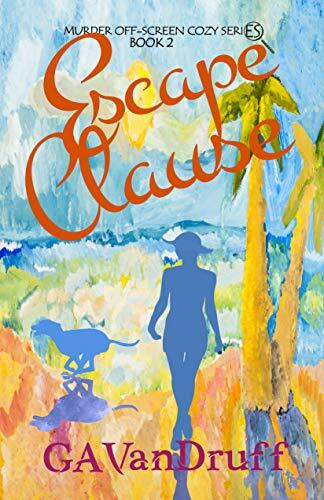 Click here to pick up your free copy of Escape Clause in the Amazon Kindle store. 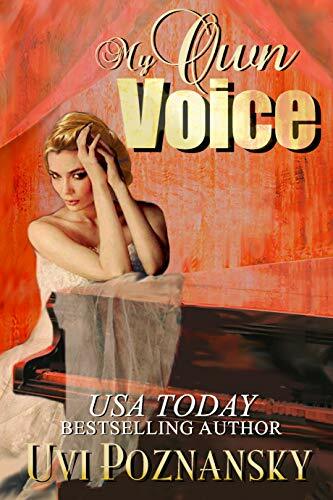 Click here to pick up your free copy of My Own Voice in the Amazon Kindle store. Thomas Carpenter – dead for 100 years – returns in 1978 to avenge his murder. He proves a challenge for a New Orleans novice detective Brenda Shapira and her senior partner, Roy Agnew. When 35-year old Shapira discovers the first victim in the historic Garden District, the beginning of 1978 will be anything but ordinary. 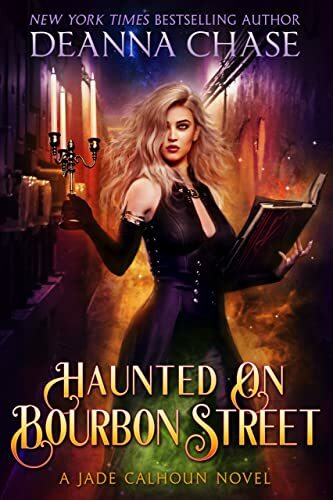 As she unravels this long ago mystery steeped in New Orleans history and the Yellow Fever epidemic, Brenda realizes that she may be Carpenter’s next victim. 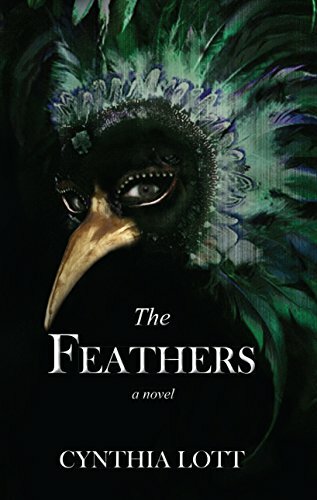 Click here or type in http://geni.us/feathers into your web browser to pick up your copy of The Feathers in the Amazon Kindle store. Jake wasn’t given a choice, not a real one. He found himself torn from home and family, conscripted for life and shipped to Erastus to take his place in the battle lines, never to return. In this alien hell, Taylor and his cybernetically-enhanced comrades fight their never-ending war against the servants of the Tegeri, the manufactured soldiers they call simply, the Machines. Jake survives battle after battle, rising steadily through the ranks, giving all to the desperate fight to save Earth. But endless combat in hell carries a cost, and Taylor can feel himself losing what little is left of his spirit, his humanity. 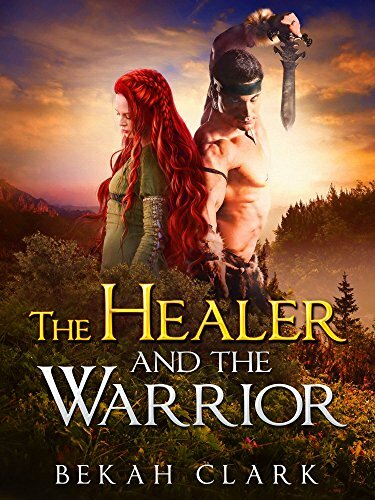 When he finally discovers a terrible secret…that everything he’d believed, all he’d fought for his entire life, was nothing but a monstrous lie, he must decide who is the real enemy, and how far he is willing to go to right a horrific wrong. And if he does what he must to prevail against overwhelming odds and win the final victory, will he be able to control the growing madness inside…or will he be become the very thing he has sworn to destroy? 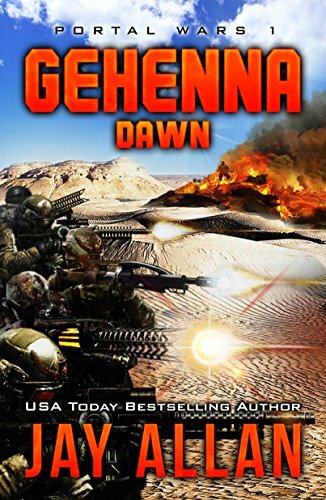 Click here or type in http://geni.us/gehenna into your web browser to pick up your copy of Gehenna Dawn in the Amazon Kindle store. Click here or type in http://geni.us/angstbook into your web browser to pick up your copy of Angst in the Amazon Kindle store. Only one thing could’ve forced Haley Carsten to return to her hometown—her beloved aunt’s failing health. Being home again stirs up painful memories of the high school best friend that died too young. When she meets a young girl who is the spitting image of her friend, Haley can’t help but feel an instant kinship. 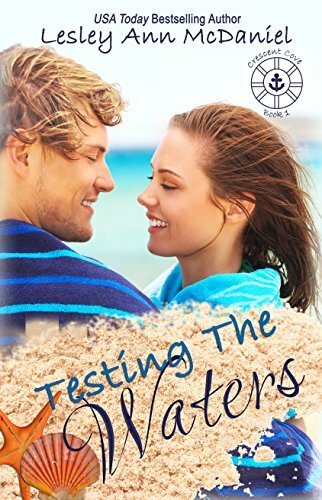 The one thing she didn’t count on was running into her high school crush—Maddox Michaels. Maddox is a realist. There’s no place in his life for dreams, not when he has an impressionable niece to raise and a brother who’s lost his way. But when Haley enters his orbit again, he can’t help remembering those dreams that died alongside his sister—dreams like falling in love. Can Haley resurrect Maddox’s heart, or have too many years passed since she was Kissed by a Cowboy? Ever wonder what happens beyond happily-ever-after? Haley wanted nothing more than to be a mom, but six months into this motherhood thing, she can’t remember sleeping through the night. She’s a mess. So is the house. And to make things worse, Maddox has a new coworker—a bombshell who happens to be single. Maddox thinks the baby-rearing stage is easy. It’s nothing compared to finding out his fourteen-year-old niece has been sneaking out at night. Or trying to decipher his wife’s hot and cold signals. When Livy disappears for the second time, everything that’s been boiling under the surface erupts. Will Maddox and Haley’s love be strong enough to survive? Click here to pick up your free copy of Kissed by a Cowboy 1 & 2 in the Amazon Kindle store. Click here to pick up your free copy of Amber Fang: The Hunted in the Amazon Kindle store. 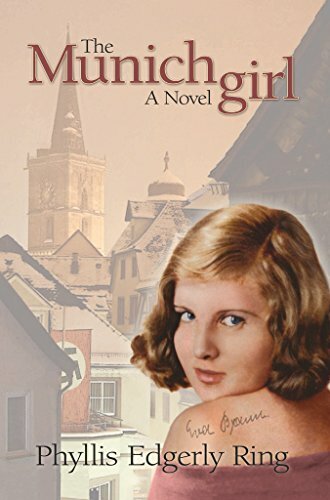 A gifted youth has not been announced in the poor village of Dimmitt for decades. When Nara uncovers the reason, she uses her own forbidden powers to make things right. 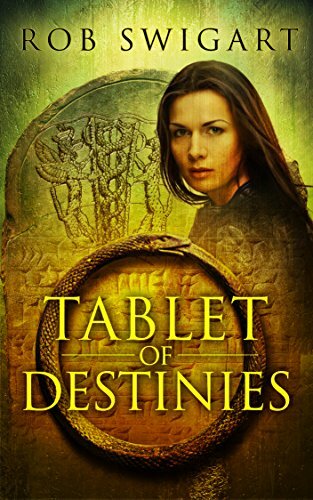 The decision sets her on a path of danger, discovery, and a quest for the divine. In the process, she learns the truth about herself and uncovers the biggest secret of all: the power of broken people. 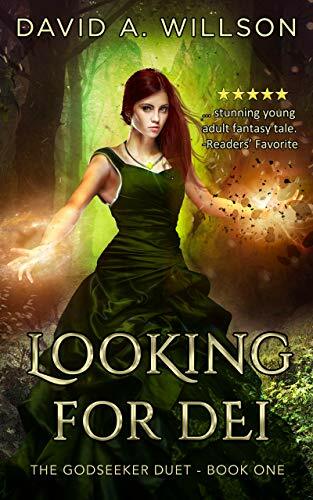 Click here to pick up your free copy of Looking for Dei in the Amazon Kindle store. 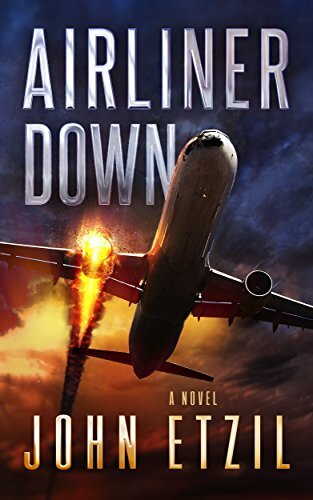 Click here or type in http://geni.us/airlinerdown into your web browser to pick up your copy of Airliner Down in the Amazon Kindle store. Click here or type in http://geni.us/esemswish into your web browser to pick up your copy of Esme’s Wish in the Amazon Kindle store. Meet 6 strong women and the men who love them in this very special set. Enjoy the happiness, love and sorrows of the brides to be and of course there is mystery and mayhem sprinkled in! Rancher Keegan Quinn is furious. The married woman swindled him into paying passage for her and her child. It was fool hardy to think a mail order bride would want him. He rides out of town as fast as he can, vowing never to look back. It’s a loco dream to think he can have a family while constantly looking over his shoulder. Addy has no idea why Peg calls the new sheriff daddy. It cost her, Keegan, the man she hoped to make a life with. She has many secrets, but the sheriff is not one of them. She needs Keegan to keep her safe from her past in Boston. Once he learns the truth, he’ll send her back, but it’s a chance she’s willing to take. Sheriff Shane O’Connor is tired of tracking Cecily down each time she takes flight. Finally he makes her an offer to keep his house and help turn it into a farm. Her past doesn’t taint her in his eyes. In fact he finds himself very attracted to her but keeps his distance. She’d suffered enough at the hands of Long Nose. Handsome Cowboy Tramp Hart left his home and friends over a year ago. He’s finally back to make amends and take his place on the ranch. That is until he walks into the house he designed and finds a woman living there. He needs a plan to get her out so he can move in. Mail Order Bride Ilene Duffy traveled from New York City to Asherville, Texas only to find out her marriage contract was no longer valid. Rancher Cinders and his wife Shannon offer her an empty house on their land. Ilene has no intentions of getting married. Poor Boy finally comes home. He’s no longer the waif we grew to love; he is very much a man now. As the stage coach approaches his beloved town he spots Sheriff Shane O’Conner riding off after a pair of bank robbers. Poor Boy, the new deputy quickly finds a horse and races after them. One of the robbers is killed and to his surprise the other outlaw is a beautiful young woman. 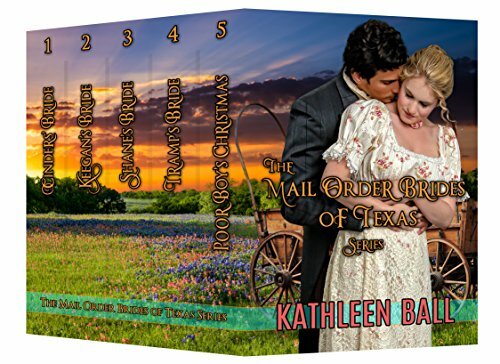 Click here or type in http://geni.us/mailorder into your web browser to pick up your copy of Mail Order Brides of Texas Box Set in the Amazon Kindle store. Growing up she went everywhere he did. When he joined the Marines she did too. Jake Barrow is a part-time gambler, full-time hired gun. His decisions are based on hunches and the turn of a card. He’s in the foothills when a young woman comes tumbling down the mountain. Unsure whether Lady Luck has dealt him a good hand or a bad, he takes one look at the beauty at his feet and doesn’t need to shuffle the deck to know she’s his destiny. 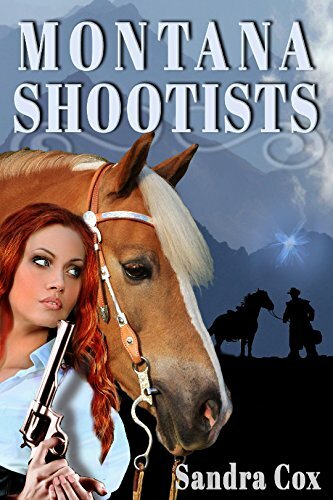 Click here or type in http://geni.us/montanashootists into your web browser to pick up your copy of Montana Shootists in the Amazon Kindle store. This twelve story collection is centered around the theme of being altered by a situation. In the acclaimed How to Win a War, a soldier experiences a strategy for ending a war that might just work. In The Patriotic Amnesiac, a mother voluntarily gives up her ability to form new memories with far-reaching consequences. A Queen and a Prime Minister plot against a President in Sever-Reign. The Legend of Legend is a light-hearted caper about an egg that contains a universal truth. In the dystopian The Second Fear a ministry attempts to produce fear in someone who is incapable of feeling it. 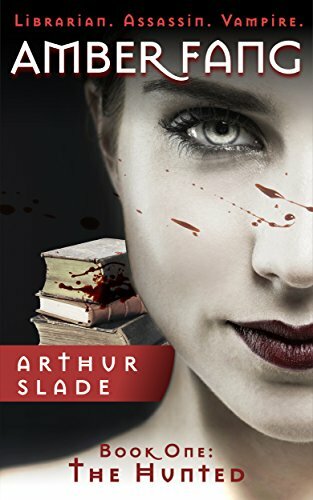 In the closing story, Devilish Tricks, a deal with the Devil changes the life of Casimir Hendrix, but is it for the better? 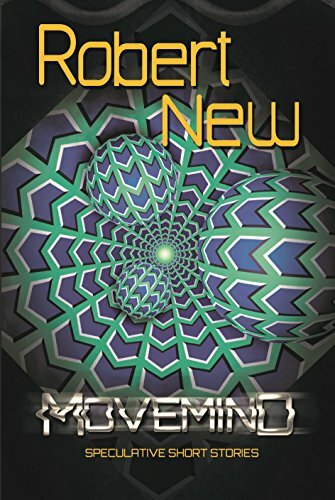 Click here or type in http://geni.us/movemind into your web browser to pick up your copy of Movemind: Speculative Short Stories in the Amazon Kindle store. Intent on retraining wounded warriors for active duty while working together as future instructors in a new program in Crystal Rock, Wisconsin, they realize they have a lot in common. 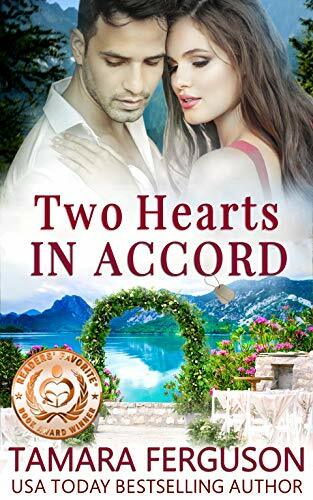 Click here or type in http://geni.us/FZRHQ into your web browser to pick up your copy of Two Hearts In Accord in the Amazon Kindle store. 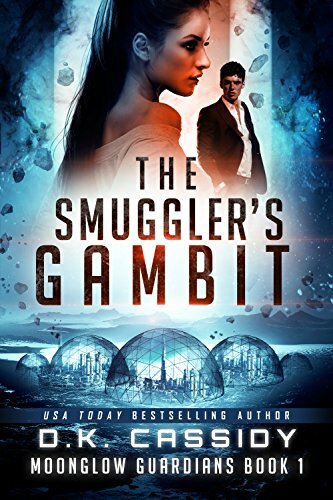 Click here or type in http://geni.us/smugglersgambit into your web browser to pick up your copy of The Smuggler’s Gambit in the Amazon Kindle store. 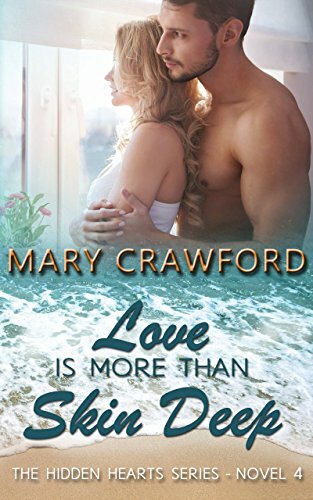 Nothing about her new client is what service dog trainer Marcia Banks expected—from the posh house that says family money to his paranoid preoccupation with his sister’s love life—but when he dangles a thousand dollar retainer under her nose, she can’t resist playing private detective. 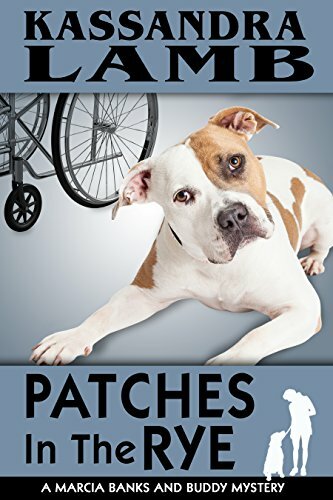 Click here or type in http://geni.us/patches into your web browser to pick up your copy of Patches in the Rye in the Amazon Kindle store. 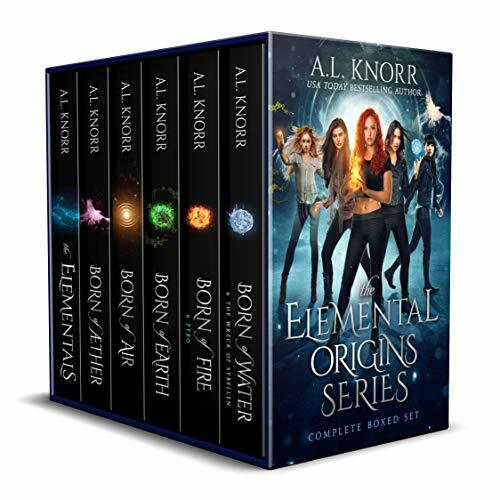 Click here or type in http://geni.us/HbVT into your web browser to pick up your copy of Elemental Origins: The Complete Series in the Amazon Kindle store.